Hanbin: How to shower in jungle? Hanbin: You didn’t take bath there? Yunhyeong: yayaya oh my god! Oh my god! 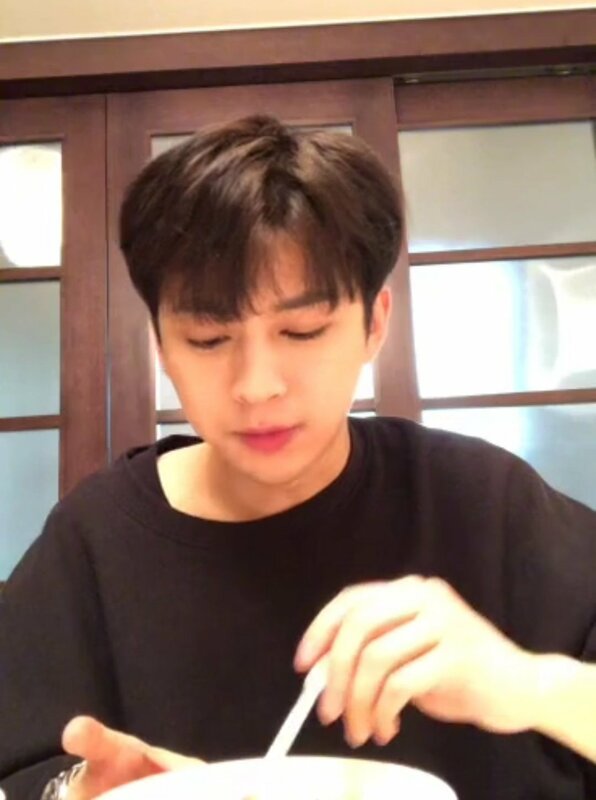 Yunhyeong: Thank you for watching this unexpected and kinda boring live. Thank you for yall who stay till the end with me throughout this live.
! 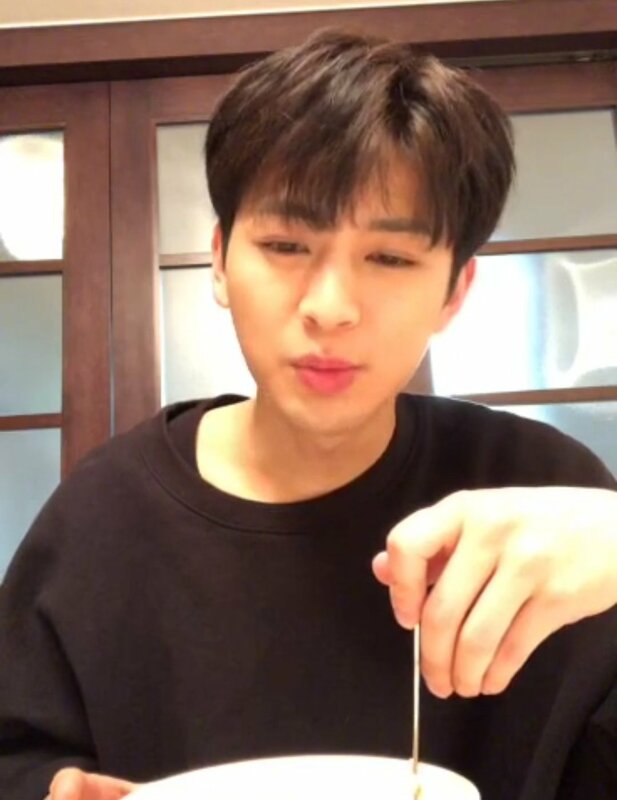 !What’s boring when we can look at your face Song Yunhyeong!!! F: Did you share with Hanbin know-how for him to survive in jungle? Fan: What are you doing during these days without schedule? 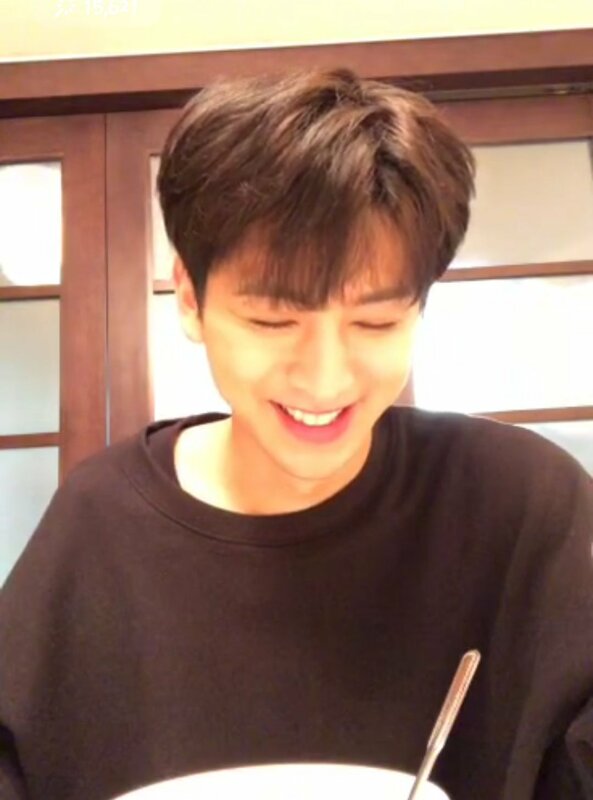 He's asking whether iKONICS have watched the teaser of his Vlog~~ And he even waited in the comments for iKONICS to answer yesyes~~ then he said to anticipate it because he does everything himself including the editing! 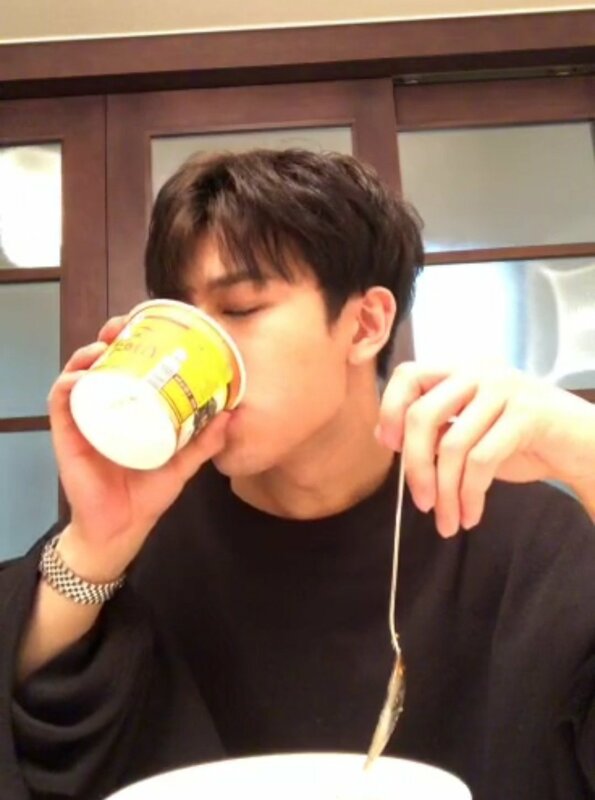 He said he has to eat faster so that iKONICS could sleep earlier! He mentioned how his sleeping schedule is messed up after coming back from America. Around this time (3AM in Korea) he still feels super awake. HANBIN PEEKING BEHIND THE SLIDING DOORS NAKED. HANBIN GETTING DRESSED BEHIND THE SLIDING DOORS. 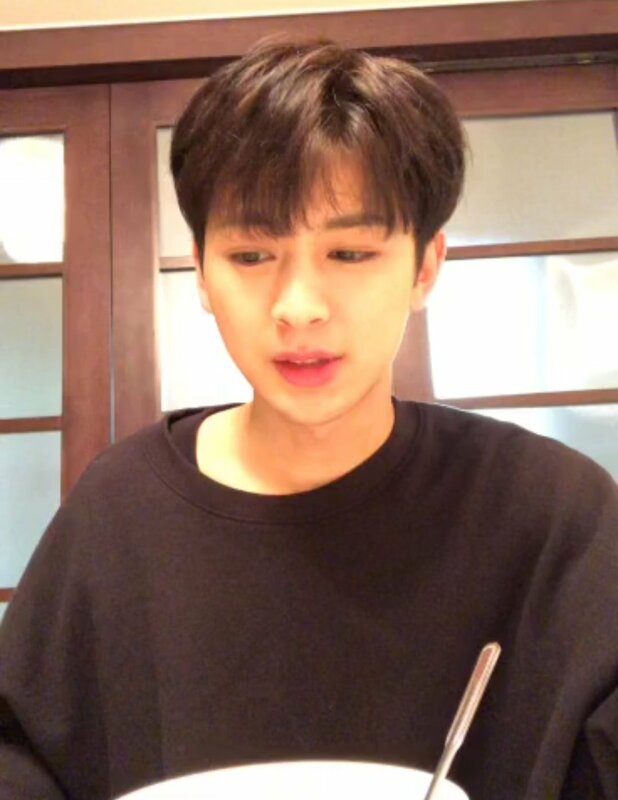 yunhyeong: when i was going alone, no one was interested. 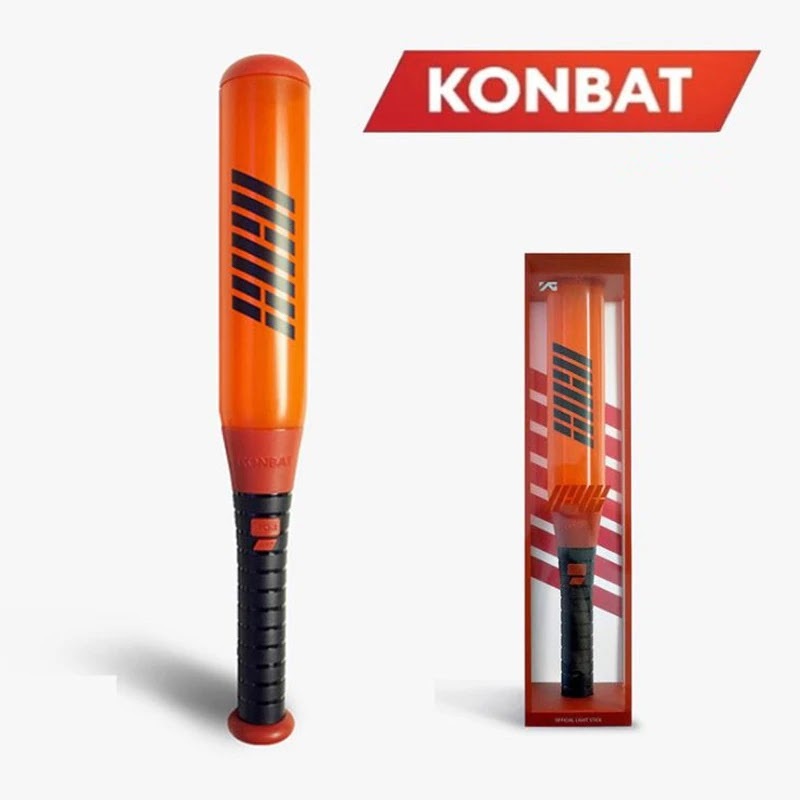 hanbin must be worried. i hope he will learn modesty! modesty! 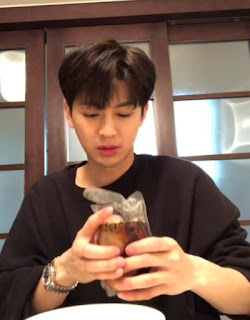 0 Response to "190327 Yunhyeong V Live : Mukbang + Talk to Hanbin Who Will go to Jungle"